Indonesia’s most sought-after private Phinisi charter company, Rascal Voyages, announces a partnership with one of the world’s leading resorts, Nihi Sumba. Surpassing all existing luxury travel experiences, the unique collaboration will offer authentic, off-the-grid adventures through Indonesia’s archipelago, seamlessly moving from land to sea in total uncompromised luxury. The innovative alliance channels the undisputed parallels running through Rascal Voyages and Nihi Sumba’s individual approaches to eco-luxury travel and their shared love for Indonesia’s vast archipelago. 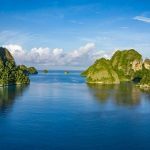 The brand-new itineraries will eliminate the necessity for internal flights within Indonesia, enabling guests to sail to and from the Nihi Sumba in style. Tucked away on one of Indonesia’s most unexplored islands, multi-award-winning Nihi Sumba is amongst the most sought-after island destinations in the world, combining rugged luxury with unregulated freedom to explore. NihiSumba was voted best hotel in the world twice over by Travel + Leisure readers globally, in all categories, for the 2016 & 2017 World’s Best Awards. The meticulously designed resort offers unrivalled exclusivity, and is surrounded by lush jungle and a long stretch of private beach. Handbuilt using indigenous materials, the 33 villas are the epitome of understated luxury, whilst an array of world-class dining and drinking options are scattered throughout the resort. A wealth of activities on offer include surfing, yoga and meditation, spa safaris, wild horse riding and jungle trekking, immersing guests into the island of Sumba. Now, guests of Nihi Sumba will be able to take their luxury exploration of the finest Indonesian islands to sea by embarking upon a private Rascal yachting experience around the archipelago at either end of their Sumba stay. Having made waves in the luxury hospitality industry when she set sail last year, Rascal was the first phinisi yacht to offer a ‘floating villa’ experience,’ with all five spacious, double en-suite cabins, above-deck. The 30m hand-crafted ironwood and teak yacht was built by the region’s most reputable shipbuilder, combining the traditional phinisi hull architecture with the mod cons of a Western superyacht to create a stylish onboard experience for cruising some of Indonesia’s most stunning seascapes. Combining a 1:1 crew-to-guest ration, personalised service, and incredible land and sea activities, a Rascal Voyage is a truly off-the-grid adventure. The first itinerary from Komodo to Sumba, removes the need to board a domestic flight to Sumba – instead, guests will be met at Komodo Airport by the Rascal crew, before departing on a unique 3-night journey, taking in Mount Agung, Gili Islands, Mount Rinjani, Gili Moyo and Komodo National Park – some of the most spectacular sights in the Indonesian Archipelago. The second itinerary, Nihi Sumba: survey for mantas, enables Nihi guests to witness pioneering research on a Rascal journey from Komodo to Nihi Sumba. With Conservation International experts on board, the 6-night voyage will survey the behaviours of the magnificent manta rays and raise awareness for the protected species and the bio-diverse marine environments they inhabit, before disembarking for a land adventure at Nihi. Guests will experience the scientists tagging mantas, and will have the opportunity to take part in fascinating exploratory dives alongside the experts, allowing them to get up, close and personal with manta rays, learning more about the incredible creatures along the way. The third itinerary, Sumba to Bali, offers the opportunity to end the Nihi Sumba experience in style, boarding Rascal at Sumba island for a 8 night cruise back to Bali’s Benoa harbour. Along the way, guests can soak up the sights of Komodo National Park, Mount Rinjani, Gili Mayo, the Gili islands and Mount Agung. Rascal consults with guests to understand the voyage they seek, with a wealth of surfing, snorkelling, land trekking and diving opportunities on offer, as well as the opportunity for first-hand encounters with Komodo Dragons will be on offer throughout the journey.